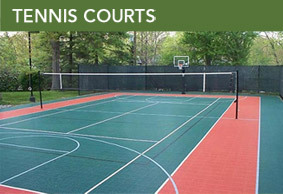 The best acrylic coating products featuring 100% acrylic latex combined with the highest quality raw materials that provide a world class playing tennis court surface for your southern Wisconsin court. 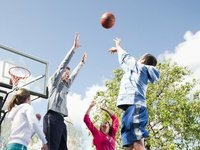 Whether you are building new tennis courts or refurbishing an existing tennis court, Sport Court West can help you determine the best acrylic system for you. Rich, Vibrant, Fade Resistant Colors that provide the concealment of patch work or previous acrylic coatings. Advanced quality control procedures assure superior finished products and our experienced technical staff provides any and all technical assistance as needed, whenever and wherever.